In this session, we've got Bootsy in the house, baby! 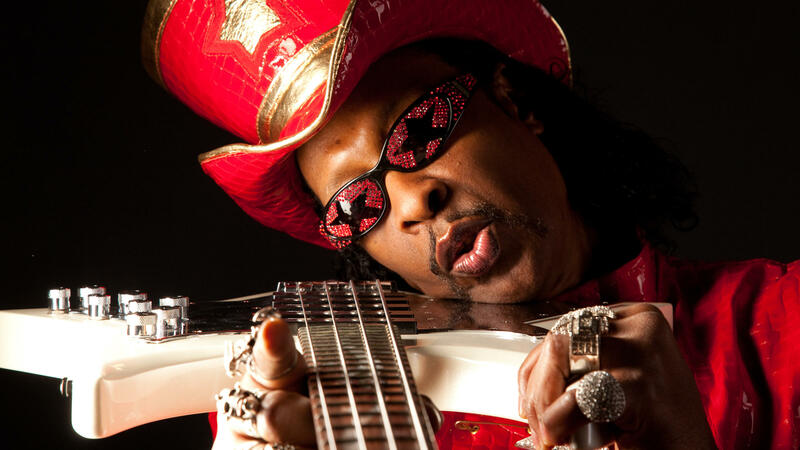 Bootsy Collins has a new album, his first in six years, called World Wide Funk. Bootsy grew up in Ohio and turned to the bass as his instrument because his older brother Catfish grabbed the guitar first. The two had a group together, and later became James Brown's backing band, The J.B.'s. Bootsy later moved on to play with George Clinton in Parliament. In 1976, Bootsy launched his own career with the Rubber Band and became the larger-than-life cartoon-like character who played the "space bass" that we will hear about today. The new album World Wide Funk has guests from all musical worlds, including hip-hop, funk and jazz. He even has a song featuring recordings from the late Bernie Worrell, the keyboardist for Parliament and Funkadelic who passed away in 2016. On another tune called "Bass-Rigged-System," he is joined by renowned bassists Stanley Clarke and Victor Wooten along with newcomer Alissia Benveniste. Hear tunes from the album and an interview with Bootsy himself in the player above.